We have established ourselves as one of the foremost manufacturer,exporter and importer of superior quality metals. 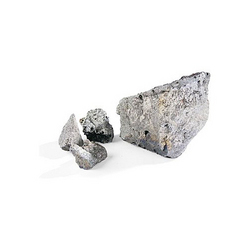 Our product line encompasses Ferro Alloys, Industrial Minerals and Minor Metals, Mineral Ores, Coke and Coal and Scrap (Ferrous & Non Ferrous). We work in association with various organizations of the world that ensures the consistent quality and rigid specifications of our products. Owing to their unmatched quality level and excellent properties, they find applications in numerous industries. Our state-of-the-art infrastructure and capacious warehouse assists us to deliver the best and to store our products in well-organized manner. Optimum quality packaging materials are used in packaging to ensure safe delivery of products. Owing to our ethical business approach and transparent dealings, we have been able to climb the height of success.